More than 10 years ago, John M. Murphy, Jr., Esq. saw the devastating impact that poor estate planning and asset protection had on his wife’s family when one of her grandparents required nursing home care. Since that time, John has dedicated himself to learning all he can about asset protection, estate planning and Medicaid to help families protect their homes and life savings from long term care costs and other potential financial disasters. 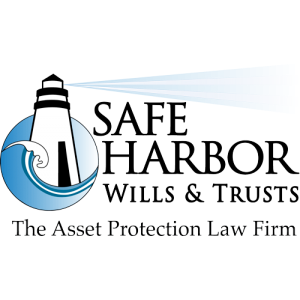 The knowledge and proprietary systems used by Safe Harbor Wills and Trusts will allow you to customize a plan to meet your families’ unique needs, while providing the degree of asset protection that you believe is necessary. Our process is client-centered, with the emphasis on your particular needs. We plan for life: one family at a time. Please call us today with any questions that you may have.